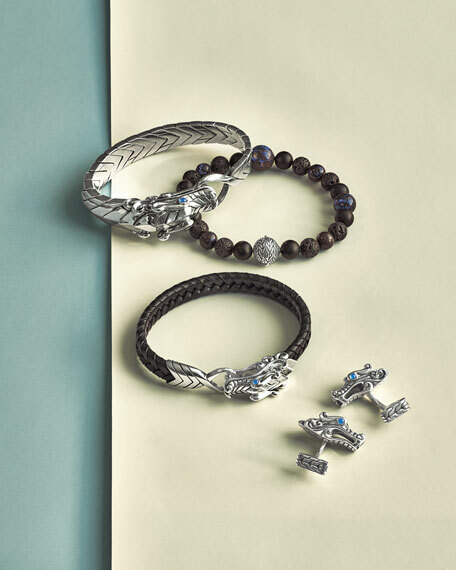 The Naga dragon symbolizes everlasting love and prosperity. According to Balinese legend the Naga dragon is known as the lover of the pearl and must dive from his volcano home to the sea to visit his love. Upon his return, water cascades off his scales into the rice fields as a sign of prosperity. Rich textures and a play of contrast between metals bring this legend to life. 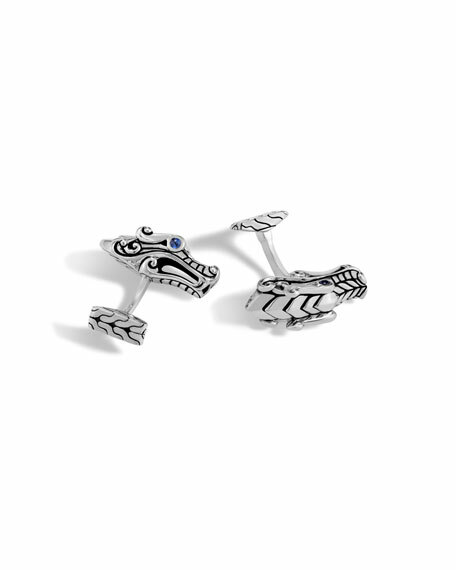 John Hardy men's cuff links from the Legends Collection. Cufflinks Inc. "I Love You" cufflinks. Stainless steel hardware and settings. Round face with black onyx cabochons. "I LOVE YOU"
Cufflinks Inc. "I Love You" cufflinks. Stainless steel hardware and settings. Round face with black onyx cabochons. "I LOVE YOU" etched text around bezel. Bullet back closure. Approx. 3/4" x 3/4". Imported. Cufflinks Inc. two-tone revolver cufflinks. Polished sterling silver hardware . Yellow golden details at cylinder. Features rotating face. Approx. 3/4"
Cufflinks Inc. two-tone revolver cufflinks. Polished sterling silver hardware . Yellow golden details at cylinder. Features rotating face. Approx. 3/4" x 3/4". Imported.